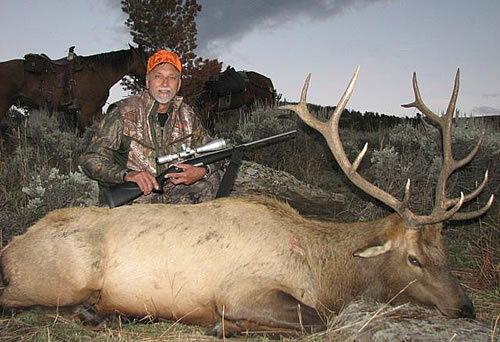 Our more than 30 years of experience guiding hunters in Wyoming and Montana has provided us with expert understanding of what to do to prepare yourself for your hunt so that you can maximize your enjoyment of this classic sport. Wyoming and Montana's diverse terrain provides scenic beauty but can test one's physical abilities. Horses and 4x4 vehicles are used to cover the country, but walking is involved on all hunts. The hunter who has prepared him or herself physically has the edge on harvesting a trophy. To make your evenings a time to relax and relay the stories of the day's events, we suggest you prepare yourself physically for the hunt. Any exercise program you undertake will help considerably during your hunt. Most of you will be coming from a lower elevation and getting acclimated to our elevation takes about 3 days, so if you are able to arrive early and see the sights this can also help. Horse hunters (Hunt 3, 7 and 8) are advised to ride at least a couple of times before the beginning of the trip. Hunt 7 and Hunt 8 Mule Deer hunters are advised to undertake a conditioning program well ahead of their hunt. No person born on or after January 1, 1966 for Wyoming or January 1, 1985 for Montana may take any wildlife by the use of firearms, unless the person possesses and can exhibit a certificate of competency and safety in the use and handling of firearms. Wyoming and Montana both grant reciprocity to other states, countries or provinces providing recognized hunter safety certificates. Exhibit of certificates are not required to apply for or obtain a Wyoming license; however certificates must be carried in the field. Montana requires you to provide your hunter safety certificate number when you apply for your license. The minimum age to hunt big game in Wyoming and Montana is 12. One of the most important factors to a successful hunt is your ability to shoot. 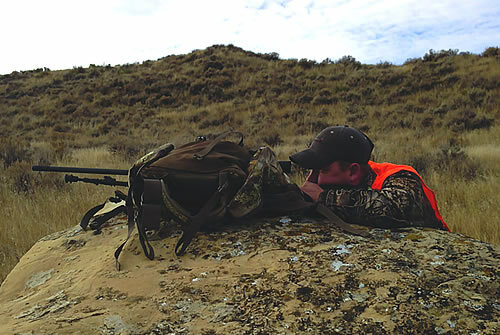 Start preparing for your hunt well in advance by sighting in your rifle carefully. Make sure you practice from sitting, prone and offhand shooting positions. Shoot 100 to 200 rounds of ammo at distances of 50 to 350 yards, although most shots are about 200 yards with the exception of Hunt 7 and Hunt 8. On hunts that take place on the Greys River (Hunt 7 and Hunt 8) most shots are 300 yards or more. We recommend a flat shooting rifle with a 6x scope or better. Calibers need to be .243 or larger, bolt action, sighted dead on at 200 yards. We encourage the use of shooting sticks. Bi-pods can't be used on horseback hunts, as they will not fit in rifle scabbards. Your ability with a rifle is totally up to you. Lots of practice and good equipment tip the scale in your favor during your hunt. There are no shooting benches out in the field so get plenty of practice. A complete and very detailed, hunt specific, list will be sent to you in July. Please pay careful attention to the hunt you book if you require electricity for a CPAP machine. After you harvest your animal, your guide will take care of field dressing it for you. Taxidermy work and meat processing are available locally. The cost of meat processing and taxidermy work is your responsibility. If you like, your animal’s meat can be donated to a local food bank. The cost of meat processing will still be your responsibility. Meat cutting fees vary depending on the meat processor. It is possible to have your meat shipped home via Fed Ex and these arrangements are made directly with the individual meat cutters upon dropping off your animal. 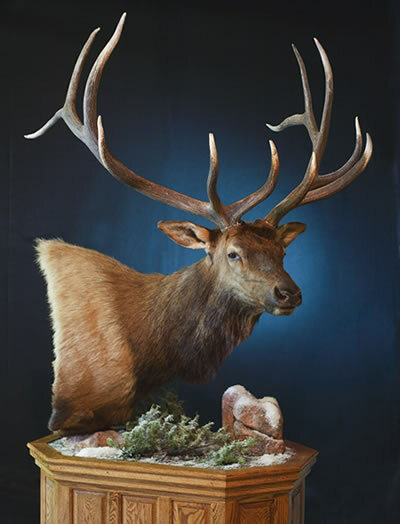 Taxidermy work is approximately $600.00 and up for a shoulder mount, plus shipping and crating. If you want to take your trophy home to a local taxidermist, that is also possible. Antelope heads can be frozen and packed with your meat. Heads taken home by commercial airliners require special care. We strongly advise you to contact your airline prior to your trip and find out their regulations. The airlines have recently made it difficult to take heads home as baggage. Heads can be left to be caped, boxed and shipped by local taxidermists; the charge is your responsibility. We urge you to check on your home state laws in regards to transporting meat and heads back from Wyoming with regard to chronic wasting disease. The weather can and will have a profound effect on your hunting experience, sometimes in a positive manner sometimes in a negative manner. Please be advised, we have no control over the weather. No extra hunting days or refunds will be given due to lost hunting opportunity, area closures, or season closures. Any additional cost for motels, meals, travel, etc. under these circumstances is not the responsibility of SNS Outfitter & Guides. We guarantee to provide you with experienced, knowledgeable, properly equipped guides, and to match your expectations to the appropriate hunt. We will treat you with respect and dignity and engage in ethical, fair chase hunting methods. Our guarantee cannot extend to weather conditions, maintenance of your equipment, control over animal behavior, your physical condition, shooting ability, and eyesight, emergency or area closures. We are a hard working honest outfit that takes pride in our reputation for customer service and high hunter success. SNS Outfitter & Guides accepts no responsibility for the loss or damage to your personal gear. You may wish to ensure your rifle and other valuable equipment against breakage or loss during your hunt. This brochure, our website, and social media sites all contain pictures of past trophies taken by our clients. 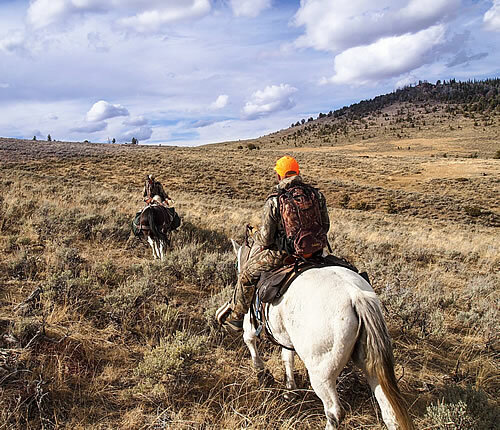 All of our hunts are for wild free-ranging animals which can be affected by weather, wildfire, area closures, distribution shifts or movement, disease and population fluctuations. SNS Outfitter & Guides does not guarantee or promise you will harvest a trophy or any animal during your hunt. The following safety rules for handling firearms shall be adhered to at all times. Keep all firearms unloaded until you reach the hunting area or until instructed by your guide to load your magazine. Unload all firearms at the end of the day before heading back to camp. Firearms are to remain unloaded while in camp. Do not chamber a bullet until directed to do so by your guide, only chamber a round when preparing to shoot an animal. Muzzle control is expected from each hunter at all times. Never point your firearm at anything you do not intend to shoot. Always open your bolt to be sure your chamber is empty before putting your gun in a vehicle or in a saddle rifle scabbard. Firearms shall be carried in the vehicle muzzle down at all times. 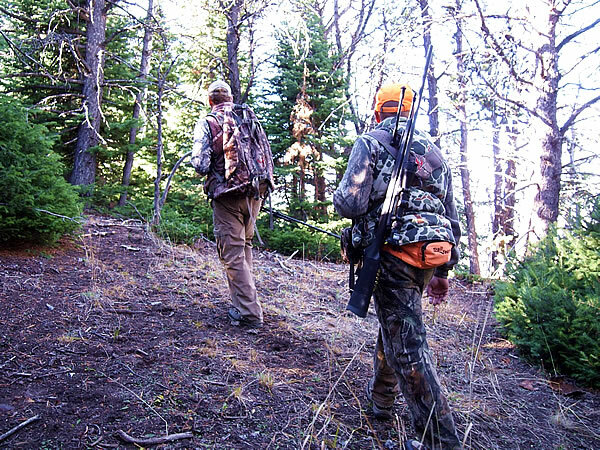 Failure to adhere to these safety rules will result in having your hunt terminated. Should your hunt be terminated from failure to follow safe gun handling practices no refunds will be awarded. No alcohol shall be consumed during the days hunt. Alcoholic beverages are allowed in camp after the days hunt. Alcohol must be purchased by the hunter prior to arriving in camp. See our page explaining Wyoming Preference Points and our preference point program. SNS Outfitter & Guides is a permittee of the Bridger Teton National Forest, Greys River District & Thunder Basin National Grasslands as well as the Bureau of Land Management. Request a copy of our free full color brochure.